Thanks to her sultry voice, range and musicality, Torii has enjoyed a precipitous rise. Leading up to her solo-debut, Torii premiered music with esteemed tastemaker outlets Pitchfork, Complex, Pigeons & Planes, Billboard, Genius, Highsnobiety, Mass Appeal, Vibe & Okayplayer and was tapped for Vevo’s “dscvr” series (past alumni include Sam Smith, Alessia Cara, Tove Lo, Hozier & DNCE). 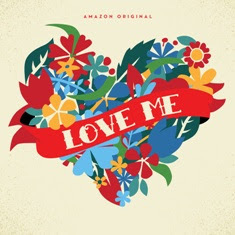 With Valentine’s Day rapidly approaching, Torii and DJ Premier further display their undeniable chemistry with a new and exclusive track, “Silent Crow,” which they created specifically for Amazon Music’s Valentine’s Day themed Love Me & Love Me Not Playlists (which also features Original Songs and Covers by artists such as Dan Auerbach, Of Montreal, Alexi Murdoch, John Prine and Jay Som among others).